What is more emblematic of the American Dream than a barbecue? Gathering family and friends together in one's back yards for a day of games, grilled food, and good conversation is, for many, the quintessence of what it means to be an American. But when if comes to designing your home exterior, it can be hard to find a way to make the space unique and reflective of your design tastes and personality. This blog post is designed to highlight some of the best places to focus your creative efforts, to get the maximum amount of personality with the least amount of effort. The lighting is one of the most neglected aspects of exterior design, but it is essential unless you want the party to die out at the first signs of dusk. When considering your lighting, it is important to consider how your lawn is laid out. The options available for a small yard with a large deck are much different than a heavily wooded lawn. The most important principle to remember is safety. Stairs, hills, even heavily rooted areas should be highlighted by your lighting design. Desks are a prime spot for hosting more intimate get-togethers, whether you are having a quiet meal outdoors, or a game of cards with the neighbors on a lazy Sunday. They are also one of the most natural canvases for you to inject personality. Every detail of your deck is an opportunity to show off a bit of your personality What color are you painting the deck? And what should you have the railings made of? 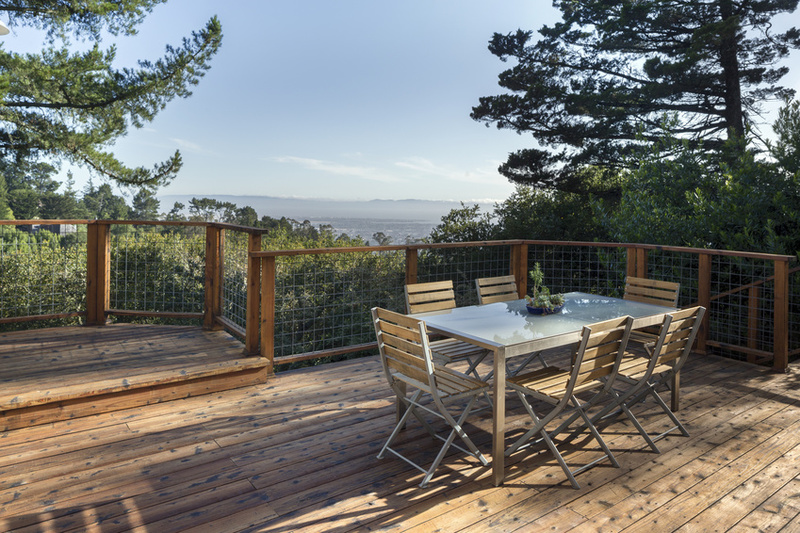 Take a risk with choices that reflect your taste: if you enjoy industrial design, consider stainless steel wire railing for decks. Stainless steel is a great option for design rail for decks because it contains a minimum of 12% of chromium. It forms an invisible protective film on the surface of the railing that prevents corrosion. When designing your exterior space, it is important to know where you can inject a bit of personality, otherwise, you might end up with a lackluster entertaining space. By playing with your lighting options and exploring options like wire railing for decks, you can make your outdoors outshine the competition. Copyright © 2017 Cable Rail Direct. All Rights Reserved . Awesome Inc. theme. Powered by Blogger.